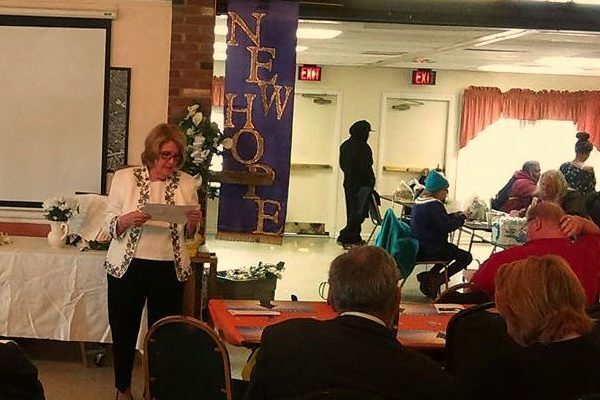 The New Hope Fellowship congregation is led by Pastor Pat Deavers each Sunday. Two thirds of the New Hope congregation are homeless individuals and many of the others have been homeless at one time, but remain in the congregation to help those who are still without a place to call their own. Reverend Deavers and volunteers provide transportation for her congregants so they can attend church. A meal is served after the service. New Hope Fellowship also sponsors a movie night at the Lamb Center monthly. Hands In Service is working in partnership with New Hope to provide additional resources for our brothers and sisters in Christ who worship there. Reverend Pat Deavers received her BA and MA degrees in English from George Mason University, and completed her Masters of Divinity at Asbury Theological Seminary in Wilmore, Kentucky. After committing her life to Christ, she has served in various lay positions at the local church, including Director of Christian Education, until our Lord called her to pastoral ministry.